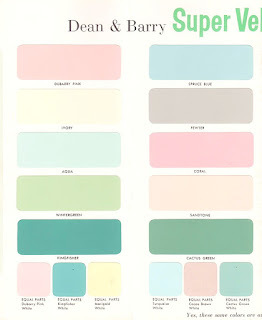 Farm Girl Pink....: ~ Picking Mid Century paint colors... for the Kitchen! ~ Picking Mid Century paint colors... for the Kitchen! Image from here... and many more to see there!!! Pinterest is really the devil. It really is. Once you get to clicking around... so many wonderful pretty images keep popping up. When I see something amazing... I always click through to the website, were the image was pulled from. Just to see if I am missing something good. 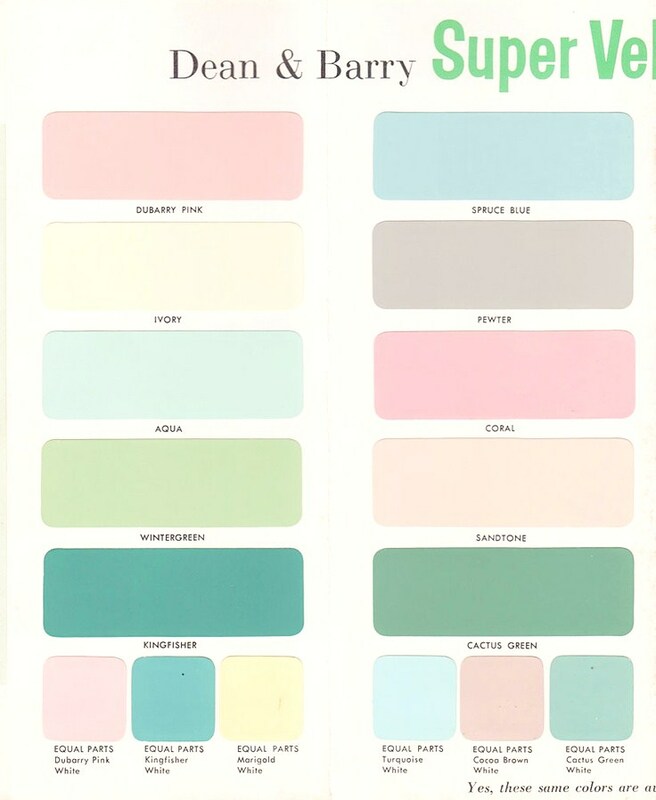 There is stunning collection of vintage paint sample booklets to drool over, right here. So be sure to go look at all of them! I am using one page from the Dean and Barry Booklet. But there are wonderful paint choices from Benjamin Moore, Sears Harmony House, Sherwin Williams, Dupont... all of them are just a wonderful reminder that once upon a time... ladies used to have so many bold pretty paint choices, for their homes. I totally agree. I do not care for the neutral beiges all those house staging shows paint houses with.